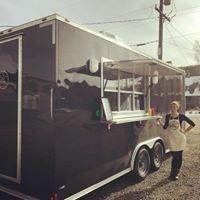 Kara Kessler, a 2011 graduate of Green Mountain College, currently manages her own vegan food truck and holds a passionate interest in human relationships with the natural world. But discovering this path wouldn’t have been possible without her two-time exchanges through EcoLeague, marked by their experiential activities. When she entered her first year at Green Mountain, Kessler was certain that she would study psychology—the high school class she found most interesting. After a “spontaneous” decision to go on an EcoLeague exchange in fall 2008 to Northland College, she learned the value of studying a broad mix of subjects. “Green Mountain College had six hundred people at the time, so I decided that it’d be good to get out. And then I got [to Northland] and realized the importance of different areas of study, different professors,” Kessler recalled. Kessler’s classes at Northland ranged from art and literature to adolescent psychology. However, it was a seminar on ecopsychology—a field examining relationships between humans and the natural world—that she found “the most intriguing, interesting, and defining”. Having found her academic interest, she made the distinctive choice of completing a second EcoLeague exchange, this time at Prescott College in Fall 2010. By completing two exchanges, she was able to study ecopsychology in depth, particularly through her coursework at Prescott. 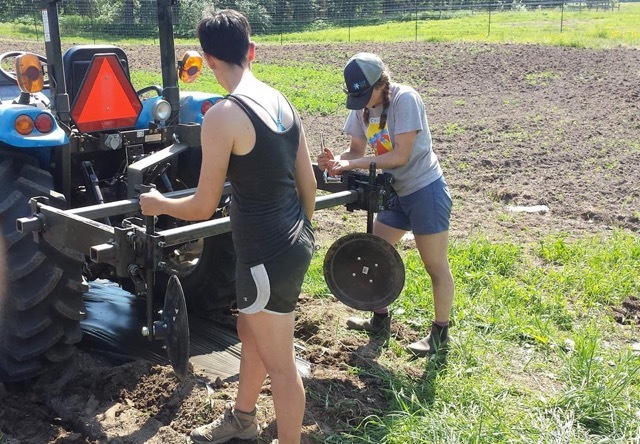 Kessler credits EcoLeague with giving her the opportunity to discover a field that she wouldn’t have been able to explore at her home college. Because of EcoLeague’s experiential nature, many of Kessler’s favorite memories of her exchanges took place outside of the classroom. At Northland, she enjoyed studying near Wisconsin’s Lake Superior, a new environment from her home college in Colorado. There, she fondly remembers hiking in local wildlife and seeing the area’s aspens in the fall. Later at Prescott, where she “got to take a lot of field trips,” she began her semester with a trip to Northern California to study sea psychology and marine biology for a month. The experience was made possible by Prescott’s unique schedule, which begins with an intensive three-week “Block” class before a typical pattern of semester classes. 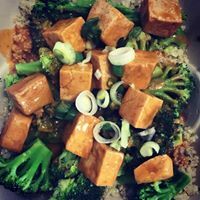 If you are passing through Nederland, don’t forget to stop by Kessler’s Vegetable Express to support sustainability and, more importantly, to nurture the mind and body! 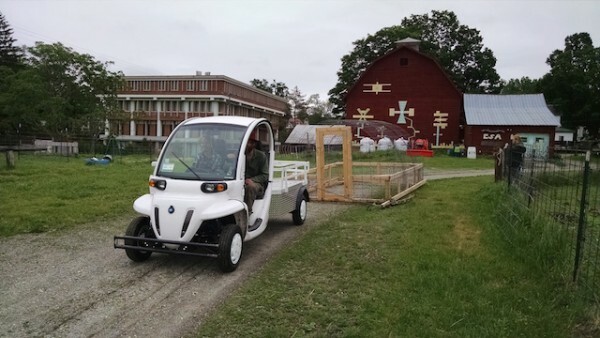 – Campus, farm, and sustainability tours. – One-on-One chat sessions with faculty and staff members about academic programs and student support services. – Ask questions of current students during the “student panel” time. – Meet and greet with staff from athletics, clubs, and organizations around campus. Visitors will receive a campus tour, a free lunch at the College’s Cerridwen Farmhouse with currentGMC students and faculty, and an on-the-spot admissions decision (for students with transcripts showing 24 or more credits). Students who RSVP can also meet with financial services professionals to discuss financial aid options, chat with coaches of our Division III interscholastic athletics programs, and meet with professors and student support staff. Sophie Holtz, a junior at Northland College, in an interview about her EcoLeague exchange to Green Mountain College. Read more about Sophie’s story, and how EcoLeague exchanges expand a student’s academic career and worldview at Northland’s Meet Our Students page. Fall 2015: EcoLeague Exchange Students On The Move! Claire Jordy (center) returning from a 2-day field trip to Vermont to study apples as part of the course “The History of Apples”. Claire is currently on exchange to COA from Dickinson. What moves us, physically and figuratively? 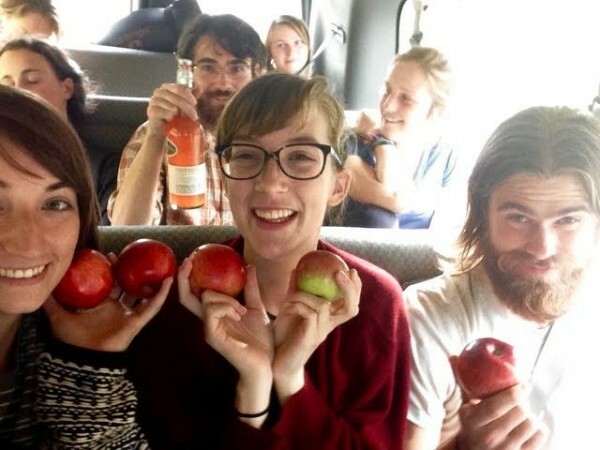 For one student, it might be an interest in apples that sparks an entire track of education. For another, a passion for soil and social justice that inspires plans for urban farming. Or perhaps it is simply a change of place that refreshes our perspective. Claire, Emmanuel, and Elena are three of fifteen students participating in the EcoLeague exchange program this fall. A consortium of six different liberal arts colleges across the country, the EcoLeague allows students to shift their studies to another school for a semester or two during their undergraduate career. Located in different bioregions and with unique campus cultures, each EcoLeague college remains connected to the others by core values of environmental awareness, social change, and sustainability. While exploring new ecosystems, new communities, and new academic courses, the EcoLeague student is challenged to develop skills and perspectives that will not only enrich their education but also prepare them for life after college. “I feel like I’m making a tool box,” says Claire Jordy, a junior, majoring in Environmental Studies. Currently, Claire is studying on the brisk shores of Bar Harbor, Maine, at College of the Atlantic. Although less than half the size of Dickinson College, her “home” school, COA still offers unique courses that she wouldn’t be able to take at home. Learning new skills she will be able to apply to her senior project is a major benefit of participating in an EcoLeague exchange. “COA offers more ‘site specific’ courses,” she says. One class that drew Claire to the college is “The History of Apples.” In this course she and her classmates learn how to identify apples of the region and study the importance of preserving seedling variety. Claire dreams of one day owning her own orchard, so “The History of Apples” is especially relevant to her future aspirations. Additionally, at COA, Claire is able to work on anthropologic research methods, which she plans to use for a capstone project at Dickinson. Aside from the academics, another highlight of the EcoLeague experience for Claire has been living in a new setting. Though a bit chilly, she likes swimming in the Atlantic Ocean and hiking in the mountains of Arcadia National Park. While Claire enjoys unique courses and exploring new landscapes in Maine, Emmanuel Greeno is developing a deeper appreciation for his home of COA while studying in Arizona this semester. Emmanuel Greeno enjoys working outside in the surprisingly mild temperatures of Prescott, Arizona. 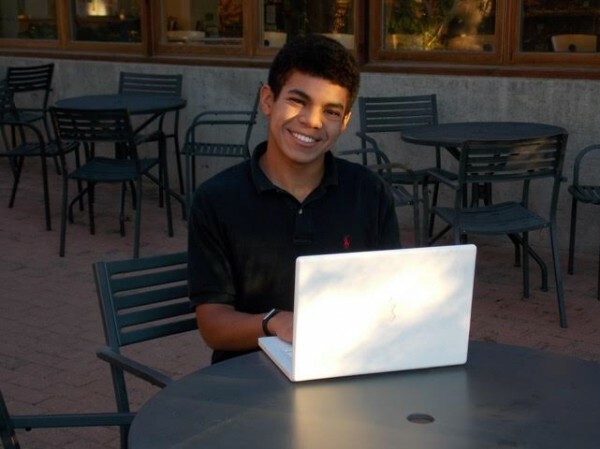 Greeno is currently on exchange to Prescott from COA. “I like the academics and the people here, but I really love my ‘home’ school even more now,” says Greeno of his experience at Prescott College. Also a junior, Emmanuel is on track to graduate with a Bachelor of Arts in Human Ecology, the self-directed, interdisciplinary degree that is COA’s trademark. Although immersing himself in a new community has been a high point for Emmanuel, it has also been a challenge. Prescott conducts most of its classes in the field and the majority of its students live off-campus, a sharp contrast to COA’s island location where most undergraduates are in close proximity to one another. At his home school of roughly 350 students, the community is very tight-knit, something he misses at Prescott. One place he notices this difference is in Prescott’s dining cafés, which are set-up restaurant style. Emmanuel describes eating as a “human ritual” and misses the cafeteria at COA, which is not only a place to eat, but also a place to “take a break” and connect with others. Despite these differences, Emmanuel is enjoying his time in Arizona. A major plus for him is the academic structure available at Prescott. This semester he is taking all psychology courses. He likes that at Prescott, the psychology classes are already “established” and he can simply enroll in them, rather than having to construct a course on his own through independent study. Going home with a fresh perspective is something else Emmanuel looks forward to adding to his education, much like Elena Santos, who has traveled from Green Mountain College in Poultney, VT to Dickinson College in Carlisle, PA for the semester. With hopes of one day starting an urban farm, Elena chose to go on an EcoLeague exchange to help her accomplish this goal. 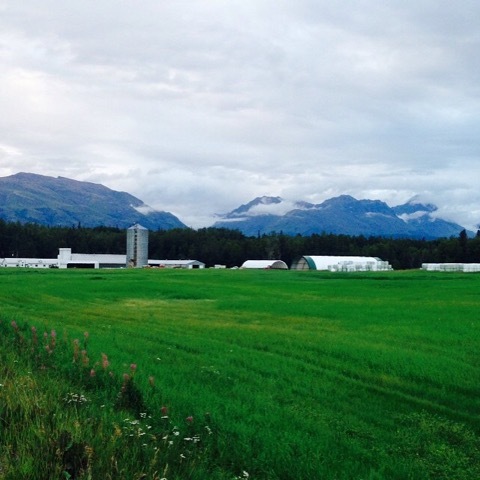 By pairing her studies in Sustainable Agriculture and Food Systems at GMC with sociology-based courses at Dickinson, she feels more prepared to farm in cities with diverse populations. 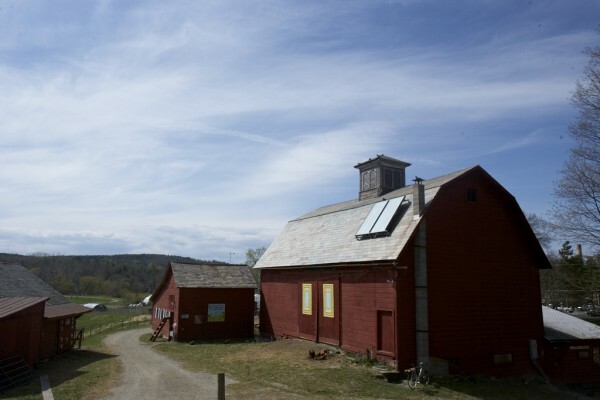 “There are a lot of perspectives at Dickinson that aren’t available at Green Mountain,” she says. Although sustainability and small class sizes are shared values at both GMC and Dickinson, Elena has noticed more differences than similarities between the two institutions. With over 2,000 students, Dickinson has a wide array of clubs and organizations to get involved with, such as dancing or language clubs. While GMC specializes in courses taught through an environmental lens, Dickinson’s curricula emphasizes multi-cultural studies, a combination Elena appreciates being able to build into her academic career. “There are more professors of color here! That really excites me,” she says. Additionally, Dickinson hosts many international students, which creates a diverse social climate on campus. Right now, Elena is taking two courses in Gender Studies as well as the course “African American Food Ways”. Incorporating more world-views into her studies has been the best part of her EcoLeague exchange. An EcoLeague exchange provides students with the opportunity to follow their passions. According to Claire, Emmanuel, and Elena, following passion pays off. Whether it be useful skills for a future career, a new-found appreciation for home, or increased cultural awareness, these students will return to their colleges enriched by their exchange. Movement, both physical and figurative, is possible through EcoLeague.